Make a package of vanilla pudding. Mix a brick of softened cream cheese with an electric mixer until smooth. Fold in 2 cups of whip cream with the pudding mixture. Put all this filling into a freezer bag and chill for 45 minutes. Remove tops from strawberries and open centers. Cut off the tip of the freezer bag and fill strawberries. 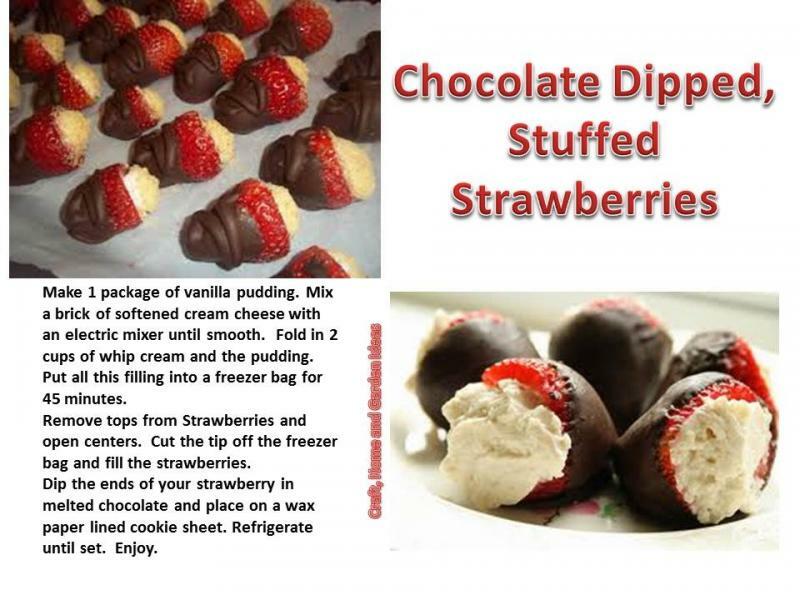 Dip the ends of your strawberries in melted chocolate and place on wax paper lined cookie sheet. Refridgerate until set.